Interviews can make or mar the chances of getting a job. There are some people who are like despite having all the qualifications and attitude, fail at the interview because their answers to some questions were not satisfactory. Some interview questions can be tricky and one of such questions is, ‘What are your career goals and how do you plan to achieve them’. The answer to this question should be in such a way that it augurs well with the company’s future and your caliber, so that the interviewers get the feeling that you both are on the same page. Each candidate is different so will be their answer to this question but at the same time, how one approaches this question can be common. For any of the questions, never keep the job you are applying for, separate. When asked about your career goals and your plans to meet them, first talk about things you have done so far and your plans that you have chalked out for yourself. Just see to it that whatever goals and plans you talk about are associated some or the other way with the job for which the interview is being conducted. If the candidate is aiming for a managerial position in accounts section, he can talk about the courses he has undertaken in latest accounting field. Then he can talk about his vision of becoming a senior accounts manager in the near future. This way, the employers know that the vision of the candidate and the mission of the company match. If an entry level candidate is going to say he hopes to become a writer after five years, then, be sure that this question will be the last and the person will be right away asked to leave. Thus it is safer to say that he is looking at learning new skills and learning more about the field so that he can gradually rise to a senior position. Sometimes, sense of humour doesn’t make any sense at all. If you are planning to say that your career goal is to take over the post of the manager who is interviewing, the latter will not see any sense in your humour rather in all probability, he will see you as a potential threat and avoid hiring you. Never say you want to be the CEO of the company, because it all seems very frivolous. Since you are not aware about the procedure of appraisals and promotion, it is better to stick to ‘senior position’ rather than mentioning a specific post. The interviewer is asking about your career goals and that is in respect to their company and their job but they are not interested in knowing what your personal aspirations are. If your career goal is to be an author or a novelist, how is it going to help them? Also you are telling them indirectly that you may leave the job as soon as you land a book contract. 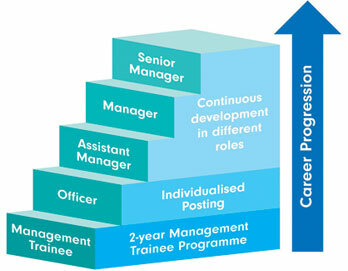 For anyone to advance in their career, they need good training, handling of new responsibilities, learning leadership skills and a focus on individual development attributes. Frame an answer including these points so that the interviewer knows that your ultimate aim is to be an expert in the field that they are hiring for. It works well for their company too. When the interviewer asks about your plans to achieve your career plans he wants to find if having you in their team will be beneficial or not. They want to know what you wish to achieve in the field and if you will be there for the long run. No company wants to hire non-serious candidates. 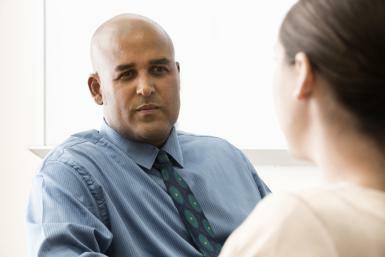 While in interviews, it is preferable to be specific, this is a question where you can give general answers. Include details and be straightforward but stick to a solid answer rather than shaky and incomplete sentences. Do not talk about your plans for next month or next year. The interviewer wants to know your long-term career plan as if what position you would want to retire as. The company will have to invest time, money and resources on the candidate, and hence they want someone who will be a prospective gain for them. When the interviewers find you enthusiastic about your career goals, they will get a feel that you will be able to handle responsibilities well because you are excited about new role and job. It will also bring forth your growth plans and your desire for new challenges and your keenness to take up initiatives. Talking directly about the company by mentioning its name may sound like flattery. For example rather than saying that my career goal is to learn and develop my qualities and skill at XYZ company, say that you are looking forward to work in an organization which will help and pattern with you in your career goal of self-development and learning path. No interviewer wants to know that the candidate is aspiring to attain great heights, so do not give unrealistic answers such as I want to be the industry leader or I want to be the next Bill Gates or Warren Buffet. Your answer should delve on a practical goal, for example, if you are interviewing for an IT post, then say that your career goal is to learn about latest trends in the field and be an expert in the field. Do not utter words such as ‘Hmmm…’, or ‘you know’ because it puts you in a shaky situation. It means you are forever thinking to reply. Employers are not looking at a speaker here but someone who knows what they are there for and has a fair idea about where they want to go. Thus it is better to take few seconds to formulate an answer and then speak. It is ok if your answer is long but be true to what you are saying. Never say you want to be the managing director, you want to earn so much, you want to have your own label and son. Stick to couple of points which will show that you have a career goal that is ambitious yet attainable. You may have not yet thought of what you will be doing in the next 5 years or what you want to achieve in the specific field and you may even have doubts about continuing in the same field. If you want the job, it is better not to share your doubts and apprehensions. You can say, that you want to evolve personally and professionally and learn to adapt and take up skills so that it will help you become a more seasoned and valuable employee to the firm. Give an answer to yourself as to what is that you want from this job? Your expectations from working on this job for some years are what your interviewer wants to know about. So say, accordingly. It is OK, to prepare a note of the most commonly asked interview questions and then say as per the script at the interview. You can prepare a short answer to this question envisioning your goals, your plans, your immediate thoughts and your achievement so far, so that you are ready with a crisp, thoughtful and apt answer without wasting much time. 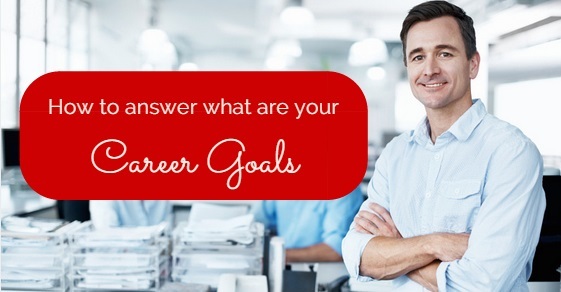 Some interviewees tend to give emotional answers to this question while some will delve on personal and professional career goals and some tend to present a long list of career goals. It is best to strike a fine balance and to be concise yet detailed to answer in such a way that it presents you as a professional talking sense, and not some emotional fools who appear to be day dreaming. Sometimes, a candidate might not know what his career goals can be and at times, he is confused about it right now. Then he can surely say what he would like to do in the near future with reference to the current job he is interviewing for. He can share his aspirations and his dreams here but strictly the ones that will match this job. An interview is not about what you want to say or what your thoughts but it is more about what the interviewer wishes to hear. Be honest and truthful, and come as an ambitious yet grounded person and display humility and give an answer that will be compatible with the mission of the company and that which will take the job responsibilities along. The interviewers want to know if your career goals are what would help the company because the growth of the candidate and the company has to go hand-in-hand. Hence, analyse and consider the above 20 points so that you come out with a honest, practical and sensible answer which is not only helpful to the employers but also yourself. 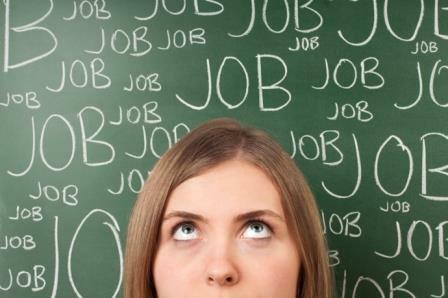 Previous articleWhy Job Search is SO hard today – How to make it Easier?